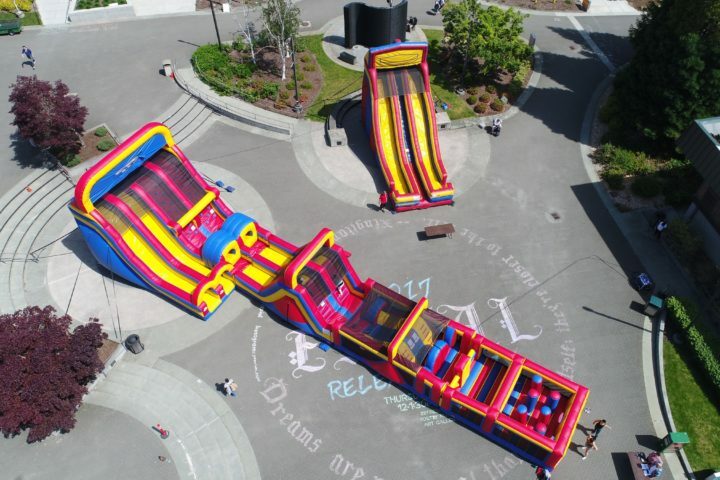 This 30-ft obstacle course allows two people at a time to race through various obstacles, ending with a slide to the finish. The front panel has over 20 different themes to choose from. 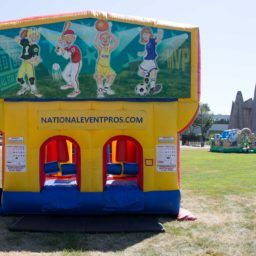 National Event Pros has an obstacle course to match just about any event theme and age group. These combine the fun of competition with physical ability. 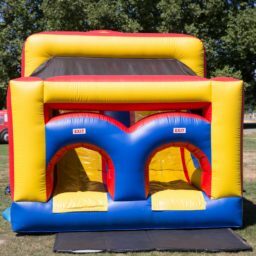 And give competitors the ability to bounce off of walls and over inflated barriers. 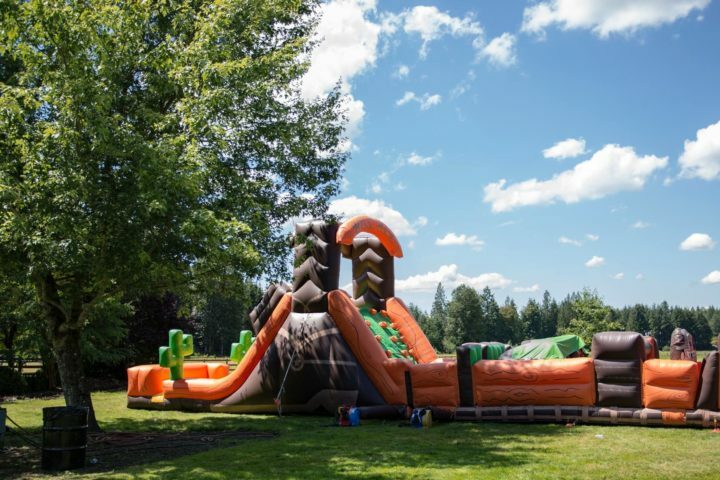 This behemoth of an inflatable obstacle course is the latest addition to our enormous inventory of interactive games. 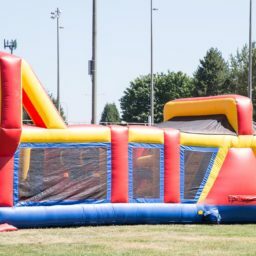 The four piece inflatable unit provides the ultimate challenge for competitors to race through. Howdy, pard'ner! Think you have what it takes to make it in the wild west? Well, then prove it! 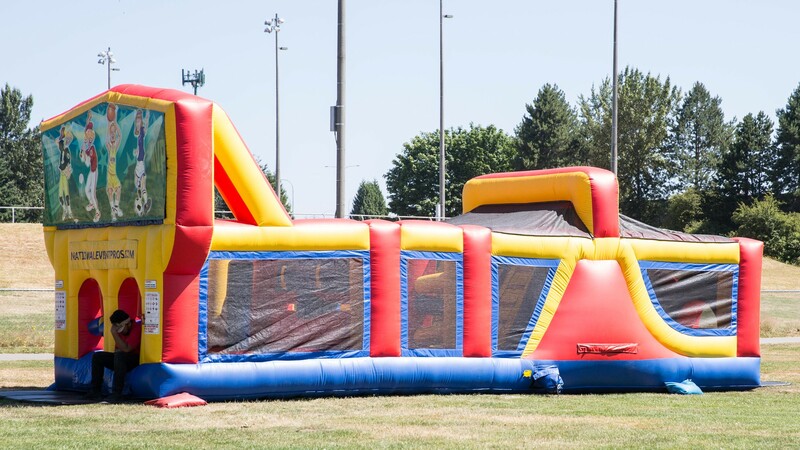 The Western Themed Obstacle Course is perfect for any western themed party or event. Rush to the end like the 49ers rushed to California for gold, and have a blast all along the way. Climb your way through and slide your way out like a bandit making off with his loot!